This block was originally developed for the YOGABODY® Fitness Studio Group because we needed an all-natural, eco-friendly, and non-slip prop to use in our public classes. Traditional, synthetic blocks are ugly, slip with sweat, and have an unpleasant hand-feel. Hence, Corky the Block was born! Beginners: excellent for beginner modifications in standing yoga poses such as triangle pose, side angle and half moon poses. Cork Yoga Block | YOGABODY® Original "Corky the Block" has been added successfully to your wishlist. This block was originally developed for the YOGABODY® Fitness Studio Group because we needed an all-natural, eco-friendly, and non-slip prop to use in our public classes. Traditional, synthetic blocks are ugly, slip with sweat, and have an unpleasant hand-feel. Hence, Corky the Block was born! Beginners: excellent for beginner modifications in standing yoga poses such as triangle pose, side angle and half moon poses. Intermediate: use Corky the Block to practice jump backs, to squeeze between your legs in full wheel pose, and to assist you in passive backbends like bridge pose. Advanced: use Corky between your forearms in forearm stand, between your hands in handstands, and between your legs to promote inner rotation in inversions of all kinds. 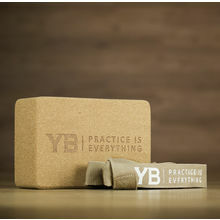 Natural Material: great hand-feel and natural aesthetic that complements any yoga studio or yoga practice room. Eco-Friendly: made with sustainable and renewable natural cork. Bonus: can be used as a meditation stool, a computer monitor lifter, or as a home decor item. This block measures 8.7" x 5.7" x 2.8" and comes with a 10-year warranty. Love it!! Thank you !! Corky Yoga Block – At first, I didn’t think I should order because of the printing on the block, Wrong! the block looks beautiful sitting on my hardwood floor, beautiful on my mat, solid used as a prop and the best: YOGABODY (my ultimate goal) and Practice is Everything (my new mantra). 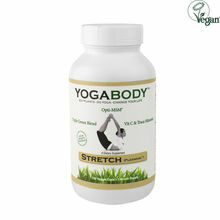 It helped me build a daily home yoga practice and become more flexible, stronger and more relax and focused. It greatly increases my flexibility. It greatly increases my flexibility. Helps me reach poses that I would not be able to reach without the trapeze. It has helped me with my health. My back has stopped hurting as much. I love it! It has helped with extensions I couldn't do before. It has helped with extensions I couldn't do before. I can relax inverted and allow my spine to decompress.